Anissa J. Balch is the Sales and Marketing Director of Metro Appraisals.Throughout her career she has seen many changes in the way commercial and residential real estate appraisal orders are managed. Anissa cultivates strong customer relationships and understands every client’s specific needs. Anissa has been a member of the Metro Appraisals team since 1993. A native of Thomson, Georgia, Anissa currently resides in Gainesville with her husband Rusty and two children, Ashlyn and Ryan. 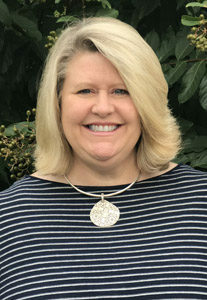 She is an active member of First Baptist Church of Gainesville and an active parent volunteer at North Hall High School. In her spare time, she enjoys spending time with her family, traveling, organizing and baking.